Although the sunglass is the big part of fashion, but cycling sunglasses are quite different from the fashionable glasses. The manufacturer of cycling sunglasses brings a massive change in design to ensure the serious compatibility for cycling. These sunglasses keep a great role to protect your eyes from all harmful UV rays, excessive wind, rain, dust and other imperfections of the weather. 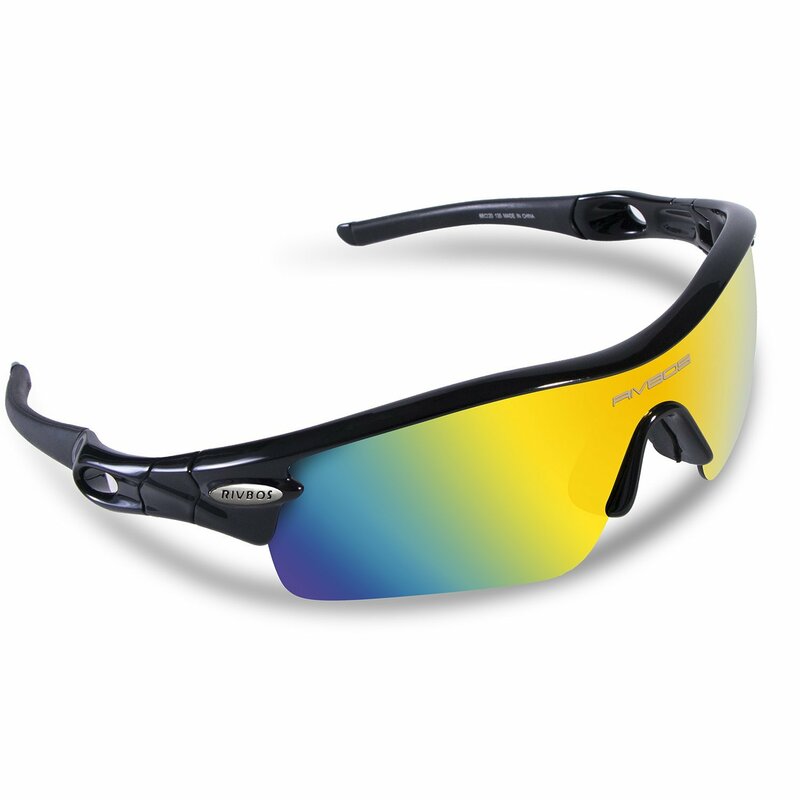 Mostly the cycling sunglasses offer interchangeable lenses with a variety of colors for different weather conditions. So you will need to change the lenses to think about the condition of outdoors. The multi color lenses are undoubtedly perfect for different conditions while the main pair of lenses is designed to protect your eyes from the strong sunlight and UV rays. But, the yellow, blue, clear and the black ones are also great for night time ride, general activities on the beach, cycling in the windy air or your driving at night. Mostly the lenses for other activities have the same strong UV protection. That’s why we recommend whether you buy the interchangeable or non-interchangeable lenses, you must ensure it has the ultimate UV protection system. So meet here the eight best cycling sunglasses that have 100% UV protection coating, unbreakable frame and interchangeable lenses for restoring the perfect view in all different weather conditions. Although the Cosver Polarized at number five hasn’t any interchangeable lenses, but it offers a great protection from the strong sunshine and all harmful UV rays. On the other hand, at number eight the Julbo Venturi is composed with photochromic lens that doesn’t require any change of the lenses to produce a cool view. 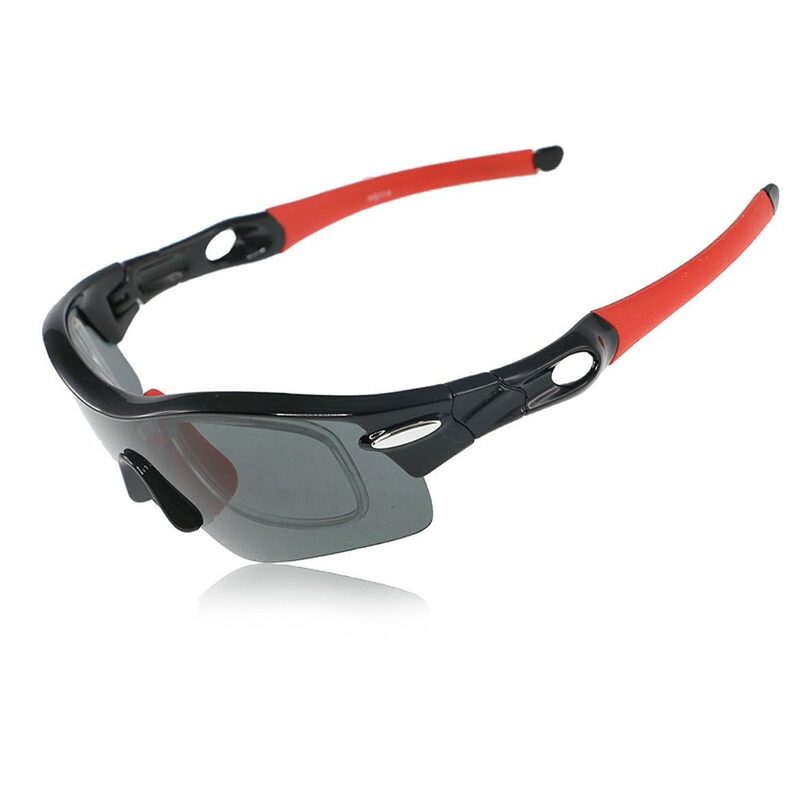 Moreover, these cycling sunglasses are not only great for cycling, but also better for some common outdoor activities like, camping, hiking and fishing. The Rivbos Unisex Sports sunglasses are the true choice for both men and women that come with five interchangeable lenses that are coated to protect your eyes from harmful UV rays. It uses UV 400 protection coats to block all harmful rays while the multipurpose lenses with a true power of eliminating all reflections to make the front path amazingly clear. The lenses are made out of shatterproof PC materials that ensure the lenses are extremely durable. The interchangeable options also enhance the opportunity to pick the right one thinking about the outdoor’s condition. The Superlight sunglasses are not only great for cycling, also you can wear them for other outdoor activities or sports. Even the frame is also as much durable as you think about the durability of a cycling sunglass. Moreover, the Rivbos offers a lifetime warranty for the frame. One sunglass to be used on any sport related activities in outdoor. Interchangeable lenses with different colors ensure anywhere and anytime you can wear this sunglass. As an example, if you have the passion to ride under the lamp posts at night, just replace the lens with yellow one and get a clear vision. When you need a pleasure ride in the windy air, just use the clear one and prevent the dust, insect and bugs as you need. A polarized lens to eliminate the reflects and enjoy a cool and clear view while the harmful rays out of your area would be blocked. Polycarbonate lens maintains the durability and keeps the lens non scratched if it faces little impacts or abrasion with anything. The Fivebox Polarized Sports Glasses also offer the same ultimate protection for your eyes from any inappropriate UV rays. To deal with the durability it also uses shatterproof PC materials that not only durable, also long lasted and ensure a clear vision. The included inner frame can be a great use as the shortsighted lens and undoubtedly such an amazing option great for those who want a more precise focus. The shatterproof lenses provide an excellent protection for your eyes against the strong sun rays that your obvious need for cycling in sunlight. On the other hand, The main lenses are specially optimized for a better use in sunlight while the other lenses are great for other conditions. The soft rubber pads reduce the discomfort and extend the wearing time while the adjustable nose pads also ensure a better fit with maximizing the comfortability. You can wear the Fivebox Polarized for many purposes like motor cycling, climbing, hiking and fishing. If you also like fishing, hiking and riding, you can maintain a few of outdoor activities by the Fivebox Polarized. Shatterproof lens at least stays in shape and non scratched if the sunglass falls off to the ground. Soft nose pad and rubber coat into the contact point of the frame for a great feel. Four additional lenses with a basic polarized lens that ensures the maximized protection against sunlights. Additional lenses to be used in wind, night and cloud. So get engaged anytime and anywhere in riding without considering the environmental conditions. It offers five interchangeable glasses and all of them have UV400 protection coats that clearly block all kinds of harmful rays. The gray color polarized lenses are seriously designed to protect your eyes from sunlight while the other colored lenses are designed to use with other different conditions. The design is compatible for all sports & outdoor activities and as usual like other sunglasses of the list it also offers the same easiness to change and set up the glasses. To enhance the quality, the frame is also made out of polycarbonate that is durable, unbreakable, long lasted and easily fitted. The lighter and anti slip design also ensures it is unexpectedly reliable for using on any condition. It provides multi color lenses to remove the glares of different lights and ensure a clear vision. The frame flexes minimally as if any impact can’t break the structure. Rubber coated grip on the frame creates a comfortable connection with the contact point. Shatterproof materials and easy lens interchanging system. Smooth nose pad adds comfort. The Active Plus sunglasses have gained unexpected popularity for the affordable cost and serious design for all cyclists and other outdoor enthusiasts. It almost hundred percently blocks all kinds of harmful radiations and protects your eyes from the long term UV damage. The polycarbonate lenses not only provide a clear vision and distortion free performance, but also provide a scratch resistant and lightweight design that ensure you won’t feel ever discomfort to use them. Even these lenses are highly impact resistant than other conventional glass or plastic lenses. Moreover, you can reliably wear them for all of your outdoor activities and as an additional compatibility the anti slip legs grip perfectly and not easily get loosen in contact unless you handle them. 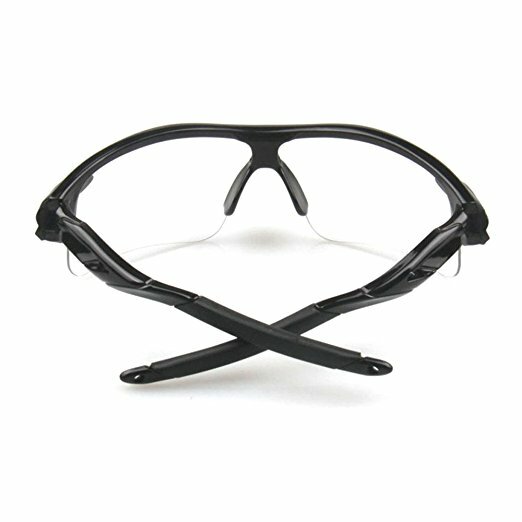 Anti slip frame with rubber grip ensures it stays adjusted to the contact point until you manually remove the glass from your eyes. Polycarbonate lenses are strong and impact resistant. UV 400 protection holds the capability to block all common harmful rays that come from sunlights. The lens eliminates the damp view through clearing the glares. The Cosver Polarized Sports Sunglasses are great for almost all outdoor activities that are outfitted with polarized lenses to avoid all harmful sunrays. It offers 100% protection from all Harmful UVA,UVB & UVC Rays and can be used for almost all professional level sports. The excellently durable frame is made out of Aluminum-magnesium Alloy that is unbreakable and has a soft rubber grip on the contact point. This great combination will create a soft and smooth grip on the contact point and keep you always comfortable. The men and women both can easily wear this sunglass and they designed the lenses to provide a great protection from any strong sunlight. Stylish and compact with a lightweight aluminum-magnesium frame that won’t crack like a plastic frame. Polarized lenses with UV400 coat keep the harmful rays away and hold the natural health of your eyes. 7 different layers in the lens enhance the activity of the lens. The ergonomic design of the nose pad with rubber grip allows you to wear the sunglass fairly. Great for numerous outdoor activities. The sunglass determines all about protections from an injury through preventing the insects, grits and dusts. When the pedals stay on rolling in its high-end mode the riders look for comfortability in the vision while the safety is the first priority. But how you can get your requirements on working mood? Literally, it’s quite simple, if the lenses don’t complicate the vision. 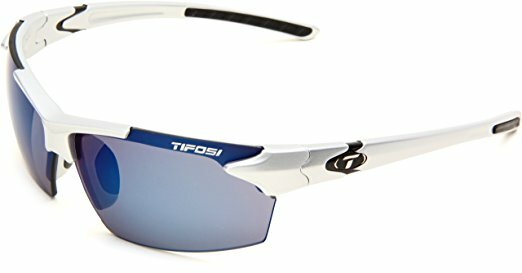 So on the mission of restoring the perfect color that a rider deserves we appreciate the capability of Tifosi Jet Wrap Sunglasses because of the capability of making a cool view. The 3” high and 4” wide lenses ensure a good coverage over your eyes while they won’t agree to remain even 1% UV rays. The nylon frame of the glass can have a promising a quality maintenance as the curvy shape doesn’t act like to be cracked when it falls off to somewhere. Its appropriate size is also the big confirmation of preventing the air flows when it tends to be touched with your eyes. Polycarbonate lenses determine the dependable strength level. Nylon frame easily absorbs the impact while the curvy shape with grips sticks perfectly in contact point. Expected performance on blocking the rays that you want to avoid. Only 26 gram weight gives a perfect feel to the riders. The Tifosi introduced multiple color based lenses with variety materials like nylon and carbon composite in the mold of the frame. We are curious about their every model that they offer in the same name. Although we have found the different color of the basic lens that has the efficiency of blunting the sharpy sun reflections and restoring the natural color you want for a clear vision. 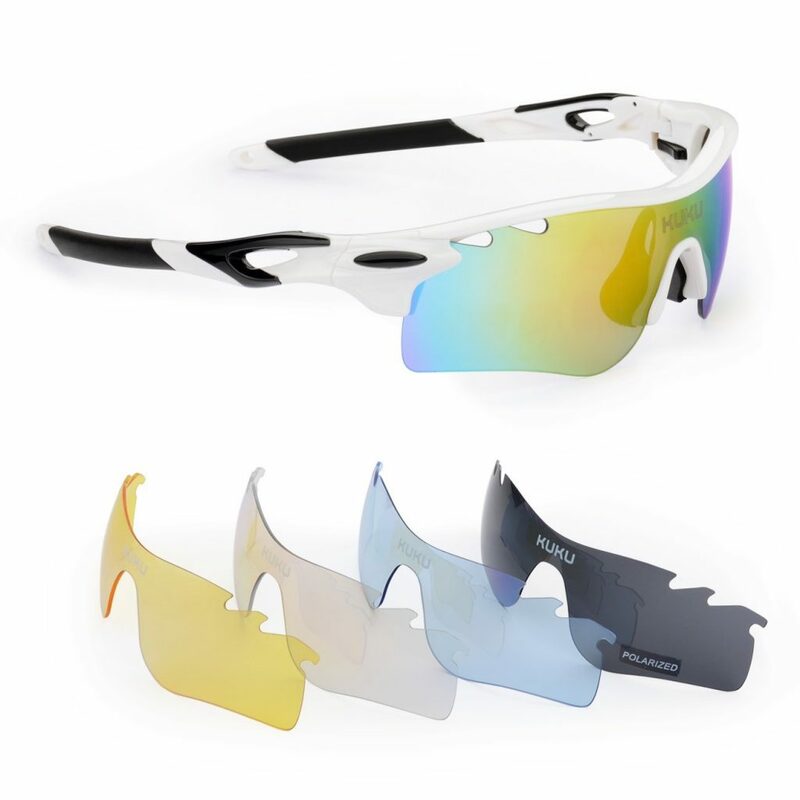 So, for cycling you can pick a color you prefer to wear for cycling and the UV protection coating of their every sunglass does a big job what you deserve to have on your sport sunglasses. The lens has fog ventilations to remove the fogs and clear the inside of the lens. The several sunglasses in this model use carbon composite and nylon in the frame while the polycarbonate lenses confirm a dependable quality as they are virtually indestructible and scratch resistant. Carbon composite and nylon ensure the superiority in the quality. Fog ventilations for the optimal view. Multiple lenses for variety of conditions. Perfect lens height and width for better coverage. The shatterproof and virtually indestructible materials hold a dependable quality. If you want to stop using multiple multi color lenses to open up the clear view in different lights, then you need photochromic lenses that automatically detect the intensity of the lights. So, a single sunglass can be the companion of your cycle ride in any conditions of the lights. The polarizing filter in the lens smoothens the reflections while the curvy and wide shape lenses enlarge the angle of view. As well, the anti fog coating prevents the layer of condensation and retains the clearance of the view and ensures the tint of the lenses is in the high end mode for the optimal view. Moreover, the lenses are integrated with hydrophobic coat what simply slides the water from the lenses and doesn’t take the print of your fingers. On the other hand, the 3D nose bridge confirms non-slip and smooth fittings into the contact point. Photochromic lenses easily detect the lighting condition and become necessarily darker or lighter. Curvy and wide lens ensures the best coverage and clear angle view. Fog coating prevents the sticky layer that comes from condensation. It easily repellents the water and prevents the finger prints. No sun rays can affect the vision of your eyes. Cycling sunglasses feature multi color & different lenses while the frame also comes from plastic, nylon, carbon composite and other materials. So, achieving some ideas over all the core construction methods of sunglasses can ensure the perfection in buying a glass for riding. 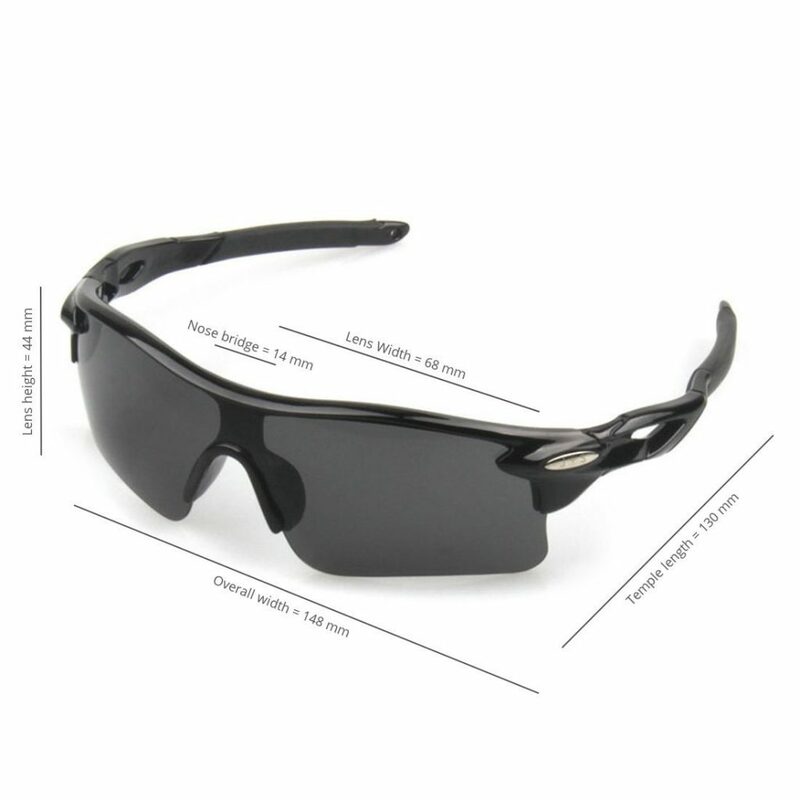 The sport sunglasses use interchangeable, photochromic and prescription lenses. The differences are the interchangeable lenses based glasses use few multi color lenses with a major dark or gray lens. 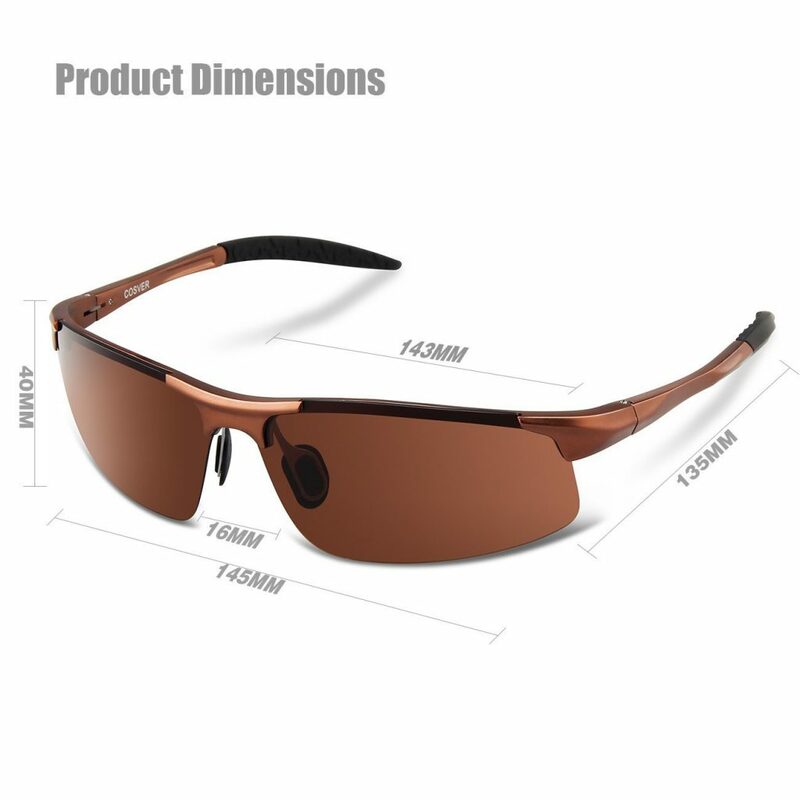 In this case, the basic polarized lens uses the UV protection coat to eliminate the effect of harmful rays and make cooler view of the outdoors. The other lenses with different colors are also your best companion to deal with other lighting conditions. The core polarized lens can be the best option to deal with bright sunlight while the non colored based clear lens is great for cloudy light and the yellow one has the power of restoring great color at night. Probably the interchangeable polarized glasses are the best for those who look for the sunglasses at a simple budget. On the other hand, the photochromic lenses aren’t like that and it has the optimization with the combinations of materials to be efficient in any lighting condition. One photochromic sunglass can give the protection and a perfect view in any condition. But you may need to spend almost double amount of money than an interchangeable lens based sunglass. Most of us are the big fan of polarized lenses as they cut more glares than non-polarized lenses, make vision comfortable and reduce the fatigue over your eyes. On a bright sunny day they are comfortable to wear as the coat over the lenses reduce the intensity of the light and block UV and UVB rays. But sometimes the view can be problematic when you look at the display of your electronic devices and you need the better view of all crucial spots of the terrain. So basically to resolve these problems sometimes the non-polarized lenses can help you. A wide sunglass almost properly covers the area around your eyes. So when you are sweating during pedaling, the condensations or moisture can blur the vision. Some sunglasses use a specific coat to remove the condensations and some uses vents as if the condensations can’t make a layer over the lens. Some lenses also use small holes to clear the moisture from glasses. The small lens can’t necessarily cover the angle while the wide and curvy lens ensures no struggle requires to get the view of angle. The wide coverage also protects your eyes better than a small lens. Although the small lenses can easily remove the condensation without vents or any specific coat. Weight, durability and flexibility are the requirement of a frame. The minimal weight of the sunglasses gives that feel like no sunglasses have been worn in your eyes that is different than a heavy sunglass. To be honest, the carbon composite is ahead than nylon to reduce the weight while the stiffness of carbon composite can be fairly better than nylon. But the nylon flexes more than carbon and the indestructibility is also more reliable than carbon. There is also magnesium that gives a compact structure in the sunglasses frame while it is rigid and lighter. The wobble fit isn’t the thing of a rider that he/she would like, the tailored fit of the sunglasses eliminate slippage and raises the comfort in contact point. The curved frame with a little flexibility is helpful for a tailored fit while the grip on the frame and the wideness of the nose bridge with a rubber piece can tailor the fit incredibly. The tailored and snug fit of the sunglass also helps you accommodate the helmet properly. Aside the rubber grips over the nose piece, the rubber coat around the frame can prolong its ability to be gripped like it is stuck to the nose and ear. Sometimes to deal with better things you should have an adequate budget. There is no exceptional choice about the cycling glasses. Although pro level glasses won’t be dealt by $20 while a beginner, casual and non-professional riders might feel $20 is adequate to eliminate the glares, ride in any conditions and save the eyes from bugs, dusts and grits. But, this can be fair according to their activities. On the other hand, a pro or avid cycling enthusiast requires maximum frame strength and high-end optimization and strength of the lens for the utmost visibility and light maintenance. So their budget can be like $50-$200 and it is fair according to their purpose. These five best cycling sunglasses not only great for the outdoor activities, but also ensure an attractive appearance with your style. 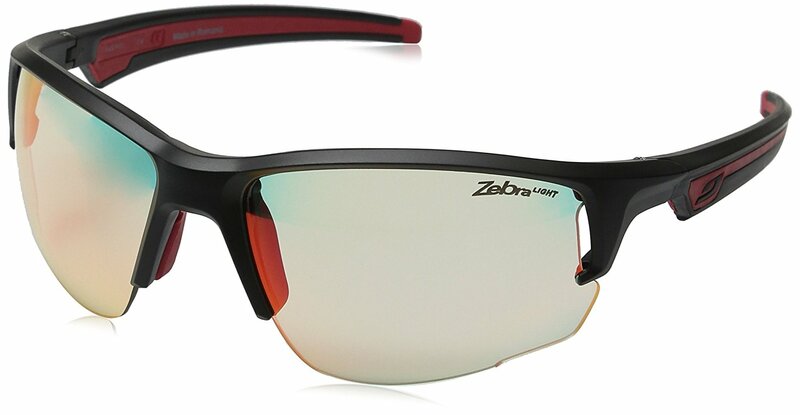 Undoubtedly, theses sunglasses with durable frame and non scratchable lenses are long lasted and provide a superior performance than other conventional glasses at an affordable cost. 10 Best Road Bike Shoes | Our Picks For Men & Women’s Cycling!